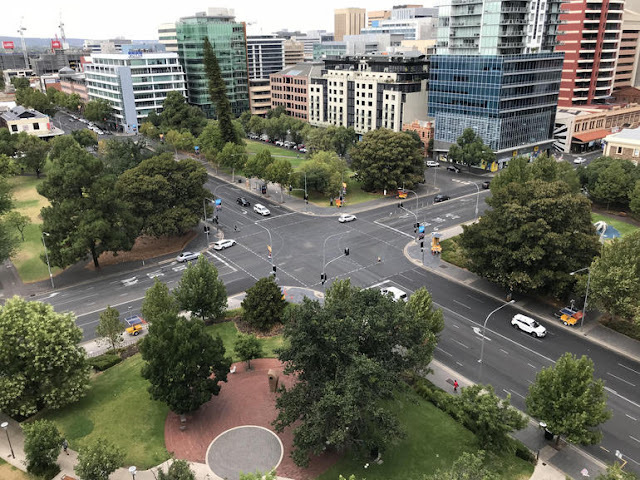 Cisco has announced that it will be investing AU$1 million in a pilot of smart city technology in Adelaide under a partnership with the South Australian government and the City of Adelaide. The pilot, which runs between January 29 and February 3, will make use of its new Internet of Things (IoT) operations platform Cisco Kinetic for Cities, with two phases: Using sensors to gather data, and assessing the infrastructure. The first stage will see Cisco install six sensors at the Grenfell-Pulteney intersection in Adelaide in order to measure "dwell time and queue length" of traffic, in what it said will be an effort to reduce current traffic congestion and "create the foundations" for autonomous vehicle deployment across the city. "These sensors will gather intersection-approach traffic information, such as location and speed of vehicles as well as pedestrians. With this information, tailored algorithms to recommend traffic light intervals can be recommended to improve traffic and pedestrian-crossing flow," Cisco explained. "The second phase involves an assessment of whether the same infrastructure can be applied to quickly and accurately determine the location and movements of autonomous vehicles, which is critical to being able to manage, direct, and control autonomous vehicles." Similar trials will follow at other intersections in Adelaide in order to "potentially test and scale the solution city-wide followed by a national rollout". According to Cisco ANZ CTO Kevin Bloch, the technology would enable real-time decisions for city traffic light networks. "Traffic congestion in Australia's cities is getting worse, and we need to act now before autonomous vehicles join our already busy roads," Bloch said. Cisco is also working with QuantumIT, SQLstream, Quanergy, Astrata, Data#3, and Bartco Visual Information Systems on the trial, with the announcement following the networking giant signing a memorandum of understanding for an IoT innovation hub designed to leverage Adelaide's free Wi-Fi network as a test bed for new applications and projects. The project also follows Cisco last year forming a smart cities "alliance" with KPMG Australia in order to accelerate the adoption of IoT solutions across the country. Under that alliance, Cisco said it would meld its technology and solutions with KPMG's IoT capabilities to provide an end-to-end open framework including the provision of advisory, technology, platform, support, and operations services. South Australian Science and Information Economy Minister Kyam Maher welcomed the project, saying Cisco's decision to develop and trial its smart city tech in Adelaide is "a vote of confidence in our growing innovation ecosystem", and shows the city is a global leader in technology adoption. The state government had announced Australia's first driverless car trial back in July 2015,completing the trial in November that year. The trial involved two Volvo XC90 vehicles that successfully demonstrated adaptive cruise control, automatic lane keeping, and active queue assist. The South Australian government said it will be a "key player" in the vehicle-connectivity industry, approving widespread driverless car trials in March 2016 so that companies are permitted to test autonomous vehicles on its roads by simply submitting their plans and insurance information to the government. In March last year, South Australia also kicked off a AU$2.8 million trial of driverless shuttleswith Adelaide Airport, while Telstra completed a 4G vehicle connectivity trial there in October 2016. A new $1 billion program from Cisco is aimed at helping cities adopt smart city technology faster. Cisco has also added features to its smart city platform. At CES 2018, Cisco's Yvette Kanouff discussed how the company's multi-cloud platform can help organizations optimize their workloads and how Cisco technology can improve security and simplify management. Cisco's new portfolio of services can predict IT failures, help mitigate risk, and more, freeing up IT to focus on more critical matters. The company launched three new services that use models to proactively address issues in the network and data center. Cisco says that as IT systems become more complex, clients could do with some help reducing expenses.